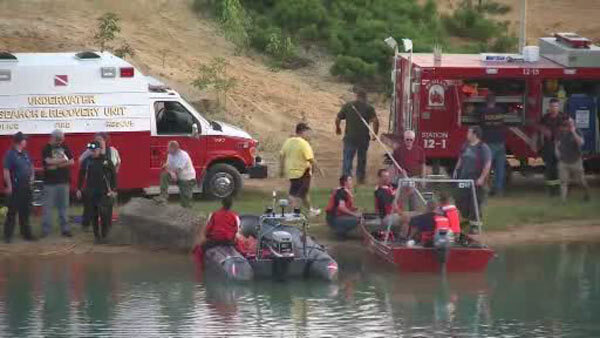 HAMILTON TWP., N.J. (WPVI) -- An intensive search Monday night focused on a private pond in Hamilton Township, Atlantic County. Authorities are not saying who they're looking for, but the search involved numerous boats, divers and even a Coast Guard helicopter. Neighbors say the body of water located off Thelma Avenue is a popular cooling off spot for teens. They say it is often used by dirt bike and ATV enthusiasts.